This is truly a multi-tasking product that is gentle enough to use even on my toddler. Although it does say “cleanser”, when I feel any rash or irritation on my skin, I leave a swipe of it and let it dry. On flights I bring a small bottle to wash my face and freshen up or sooth any rash that comes from the dryness. It says it can remove make up, however I don’t find it strong enough for mascara and sunblock so I use make up remover before washing my face with it. In Hong Kong, where I live, the stores only carry the half litre bottles. In Australia, they sell 1 litre bottles at good prices. They have started bringing the 1 litre bottle into Singapore too. When I am in Australia, I grab a few bottles for home. 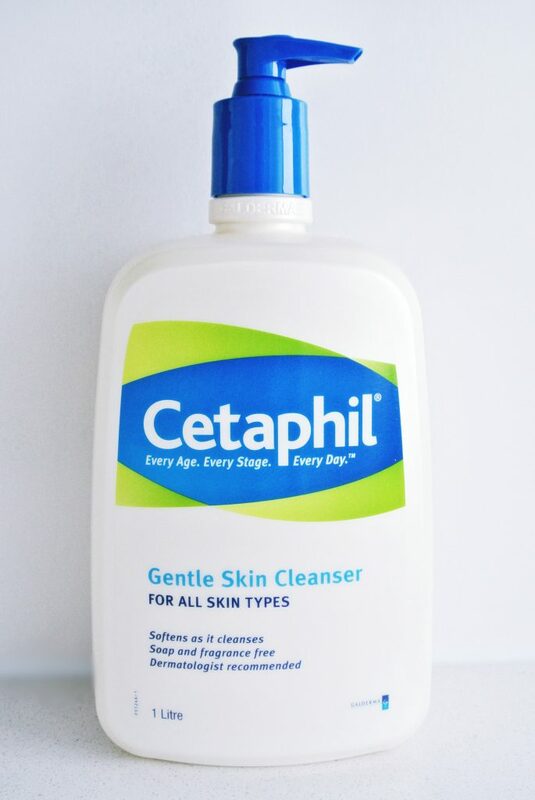 I suspect the authorities have opened my luggage on many occasions to check out the unusually high number of 1 litre bottles in my bag, only to find Cetaphil Cleanser!